Designation: Faculty of Medical Sciences, Masovian Medical School. Copyright: © 2018 Jasinska J. This is an open-access article distributed under the terms of the Creative Commons Attribution License, which permits unrestricted use, distribution, and reproduction in any medium, provided the original author and source are credited. The article aims to describe the crisis as a natural process in the life of the organization. The main definitions related to the crisis and the causes of crises, both internal and external, are presented. The concept of the organization’s life cycle, as well as different approaches to this issue, are a prelude to considering the life cycle of the organization by L. Greiner. The concept of this author best shows the periods of evolution and revolution during the organization. The theoretical discussion of the various stages that make up the life cycle of the organization according to Greiner is the basis for empirical considerations, for example the chosen organization. The word crisis usually evokes negative emotions. It is mainly associated with a stressful situation, difficult to control, which can only result in a catastrophe. In the era of economic crisis, the impression about the crisis is deepened as a process that is negative and destructive. Although this is undoubtedly a time of danger, pressure and frustration, it can also be a turning point in the life of the organization, the period of repair and development. In the environment and inside of the company, not only various opportunities to use, but also threats appear. Vigilance in monitoring any phenomena and processes may weaken the strength of their impact on the company through anticipatory actions undertaken on the basis of the results of potential change projections, which may greatly limit them. (...) In many scientific studies it is explicitly stated that a company develops through crises . The purpose of this article is to present the crisis as a natural moment in the organization’s life cycle. The period of the revolution may have a destructive effect and actually threaten the existence of the enterprise, however, proper management and anticipation of crises in the organization, enables achieving a higher level and development of the subject. The crisis is defined as a breakthrough, a turning point or a decisive one. In order for this to happen, we need the right people who will not only see the crisis as an evil, but also as an opportunity for development and gaining an advantage over competition . However, contemporary management literature, identifies the crisis mainly with the threat of the collapse of the organization. Ziemniewicz  defines a company crisis as an unplanned process, i.e. a sequence of events occurring at a specific time, which are a threat to the existence of an enterprise . Similarly, it is characterized by the crisis of Zelek . According to the author, the crisis comes unexpectedly as a consequence of unpredictable events that disrupt the normal course of business. It cuts the organization from the inside and generates problems in the environment. In other cases, he is approaching slowly, he is drowning the vigilance of managers, he is blind, in order to finally strike with all his power and reveal himself with consequences that are difficult to remove . According to Wawrzyniak , the crisis is the situation of an enterprise in which, as a result of the accumulation of various difficulties, the implementation of its basic functions is at stake and at the same time there are real difficulties in its removal. Goscinski  believed that every organization has to deal with a threat situation at all times. The crisis can, therefore, occur always and everywhere . -a situation that can destroy the basis of public trust and internal faith in the organization or harm its image. Management specialists advise you not to ask if the crisis will come and when it will happen. They argue that one must be prepared for crisis situations and deal with them with the least possible losses - these are inevitable when the crisis situation becomes a fact . In order to talk about preparing for a crisis situation, its determinants should be determined. Without knowing the possible causes of the crisis, the company is not able to defend or prepare for its coming, and the consequences can really threaten the existence of the enterprise. Proper identification of emerging threats and their possible consequences, as well as appropriate control of the occurring changes, may not only protect the company from the negative consequences of the crisis, but also allow the organization to develop and seek new opportunities at the micro and macroeconomic level. In principle, two types of causes are distinguished, resulting in disruptions in the company’s operations, and without appropriate preventive actions may lead to a business crisis. These are external and internal reasons. - conditions resulting from the technological environment. - complacency with the survival results achieved and lack of feeling of internal insecurity (often resulting from the lack of monitoring of the environment and its position in it. - intrinsic (internal) crises in the enterprise, which is caused by low management qualifications and leadership crisis, erroneous business strategy, collapse or significant deterioration of the company’s image, errors in the company’s functioning and the company’s staff condition (low qualifications, undisciplined and, as a result, low efficiency work). Crises caused by exogenous factors are called intersystemic or structural crises, and the spontaneous crisis, caused by endogenous causes - an intra-systemic crisis. According to American research, most of the company’s crises are of intrinsic character . The organization functions in a given environment, but also in time. It passes through the various phases of the organization’s life cycle, which pose challenges, problems and opportunities for it. Therefore, when considering the business crisis as a natural and unavoidable process, the phase of the life cycle of the organization in which the enterprise is located should be taken into account. This is one of the elements that allows the organization to prepare for an emergency situation and take appropriate action to minimize losses. Four types of trajectories of organization life. Figure 1: Four types of trajectories of organization life. TYPE IV - concerns cases of enterprises with a longer life cycle, in which good or very good economic results were achieved. Most authors tend to present the life cycle of the organization by highlighting particular phases. The models of phased development of the company have been given a lot of attention in literature. They have both supporters and opponents. The former tries to use them in empirical research, while others focus on their criticism . However, the phased perception of the organization’s life cycle allows modelling of certain phenomena occurring in the organization. The difficulty of assigning a particular phase to the current situation of an enterprise is based on ambiguous criteria defining individual phases. The enterprise, making an attempt to determine the stage of its development, must choose the enterprise’s life model, taking into account macro and microeconomic factors. - change or fall and solution (Figure 2). Phases of development of social systems. 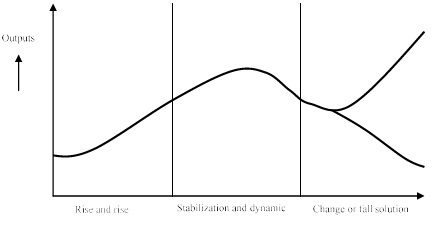 Figure 2: Phases of development of social systems. - maturity is a period of stability that can eventually turn into decline. Table 1 presents a synthetic summary of selected models of enterprise development. In the models described, the authors usually focus on the inside of the enterprise, not taking into account the influence of internal factors, which is undoubtedly a disadvantage to modelling the life cycle of the organization. 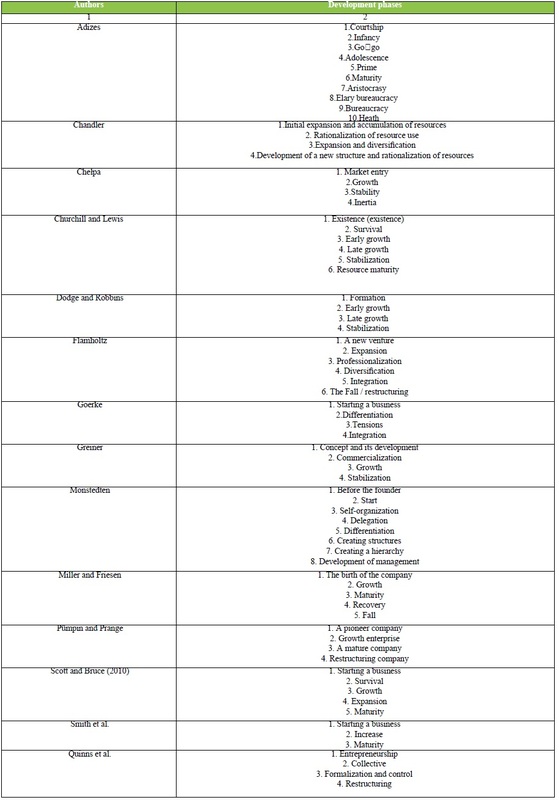 Table 1: Overview of selected organizational development models, Source: Bławata 2014 . - Models concern enterprise development, and growth is sometimes only one of several stages of development. - The company’s life cycle is presented as the sum of phases, the number of which ranges from 3 to 10. - The boundaries between development phases are determined on the basis of qualitative criteria, the most common of which are: organizational structure, entrepreneurial functions, management styles, company culture and flexibility in adapting to changes; sometimes quantitative indicators are used as the criterion for determining the limits, e.g. turnover and employment. - Model development models of the company generally assume the possibility of leaving certain phases or changes in their order or return from the higher to the lower stage of development, or the mutual interpenetration of phases; The company may also go several times over certain stages of development. - The transition to the next, higher phase may be preceded by a crisis period. - Only a few small growing companies are becoming medium and large; many small businesses fail or are absorbed by others: many companies are still at the same level of development. Greiner  presented one of the earliest attempts to show the life cycle of an organization using the model. It is his concept, expression that shows the periods of revolution - crises that are moments of disruption in the functioning of the organization. According to the author, they are completely natural and unavoidable, and overcoming them gives the organization the opportunity to enter a higher phase of development. Phase 1: growth through creativity and the crisis of leadership: Establishment and growth of the organization are possible due to the innovativeness of the entrepreneur-owner activities. His goals are primarily production and sales. The entrepreneur conducts control using the information on turnover and profits. Stul’s management is autocratic, and the organizational structure is largely informal. The entrepreneur’s behavior is characterized by technical orientation and usually disregarding the attitude to organization and management. During the period of evolution, communication among employees is often informal. Long hours of work are modestly rewarded and promise owners of future profits. Decisions are sensitive to feedback . Growth causes many activities to become a problem. The organization lacks formal communication and there is a lack of financial control. During this period of revolution, a leader is needed - a strong manager who will “pull” the organization behind him . Phase 2: growth through leadership and the crisis of autonomy: A company that survives in the first phase, further growth is achieved mainly thanks to the improvement and development of the management system. An organizational role plays an important role at the new stage of development. The division of labor and specialization harmonize and stabilize technical and production and administrative-commercial activities. In this phase, planning and budgeting systems are used, and it is consistently expanding a system of recording costs and results . The progressing process of bureaucratization and limited decision-making at the lowest levels of management lead to a crisis of autonomy. Centralization of decision-making limits development. The company is not able to react quickly to changes occurring in the environment, the company’s flexibility is inhibited. Lower-level managers are blocked by a rigid hierarchical structure, and as a consequence, it inhibits further growth and development of the organization. Phase 3: growth through decentralization and control crisis: The reaction of the supreme leadership to the crisis of autonomy is decentralization. Delegations are delegated to lower levels of management. This improves the flexibility of the organization. Lower-level managers have appropriate competencies, react faster to changes in the environment, making decisions faster. Senior managers focus on management and monitoring. Communication between the headquarters and departments is rare. During the revolution, the supreme leadership states that it has lost control over autonomous areas. Managers act without co-ordination of plans, money, technology, etc. At this point in the organization’s life cycle, coordination of management becomes necessary . Phase 4: Increase through coordination and bureaucracy crisis: At the previous stage of enterprise development, decentralization was primarily associated with a specific style of management and although it affected the structure, it mainly concerned personnel matters. In the fourth phase, decentralization and further growth take place thanks to the improvement and formalization of both the company’s policy (establishing standard procedures and introducing appropriate modifications in the organizational structures). Coordination by formulating procedures and rules of operation is, however, only useful in stabilized conditions. At this stage of development, coordination techniques focused on the organizational structure are more effective. Two basic types of structures are recommended - task teams and squadron structures . During the bureaucratic crisis, there is a lack of trust between employees and line managers as well as between the headquarters and branches. Line managers do not accept central decisions. Employees complain about the lack of cooperation between line managers, and bureaucratic systems are being criticized. The organization is too complex to manage it through formal programs . Phase 5: Growth through cooperation and crisis? The effects of negative phenomena occurring at the fourth stage of development can announce cooperation and teamwork. It was noted that employees achieve better results if they are trusted and given considerable autonomy. The form of the participatory (participating) style of leadership are teams. It is believed that such participation has a significant impact on the development of engagement and effectiveness in achieving the organization’s goals . Assuming a model perception of the life cycle of an organization, it can be assumed that after the growth phase through cooperation, another period of revolution will take place. Greiner admitted that there was a certain inconsistency in the model he developed. The point is that any solution that seems perfect at the moment carries a germ of crisis. Often, because it turns out that what was once the best, now does not bring results. Unfortunately, many managers still do not understand this obvious truth . As previously mentioned, the unambiguous definition of the life cycle phase in which the organization is located is a difficult and complex task. This is mainly due to imprecise definition of individual phases, as well as the possibility of occurrence of certain problems in the organization, characteristic of various stages in the organization’s life cycle. Therefore, this problem should be viewed holistically and generalization of certain processes. To determine the phase of the life cycle of the organization in which company X is currently located, a survey and an interview were conducted. Company X is focused mainly on production and sales. The organizational structure is informal, as is communication. Making decisions, at the operational and strategic levels, is taken over by the main manager, in this case the owner. These phenomena are characteristic of the first phase of the organization’s life cycle in Greiner’s model. The lack of detailed regulations and formal procedures, the lack of planning and budgeting systems introduced to the company, and the fact that the cost and performance record systems are not developed, also prove that the organization is in one of the initial phases. However, as noted earlier, it is not possible to easily identify the stage the organization is on. In this case too, a holistic view of the organization is needed. In Company X the main manager represents a participative management style. Individual awards have been introduced, which is characteristic for later stages of the organization’s life cycle. The cross-breeding of competences also appears in the later period of activity. Taking into account the most characteristic features of individual phases, the development of the organization over time and the number of employees, the most arguments support the placing of Company X in the first phase of the organization’s life cycle, i.e. according to Greiner, in the phase of growth through creativity. With further development of the organization, problems can be expected related to the lack of formal communication or the lack of a specific organizational structure. The manager / owner can face the problem of mastering all problems appearing in the company and the lack of professional management. Only thoughtful and properly coordinated proceedings give the possibility of smooth transition through the period of revolution. An attempt to anticipate possible complications, gives the opportunity to better prepare for the crisis and, consequently, minimize the risks resulting from the crisis. The transition to the next phase in the life cycle of the organization poses challenges for the company, but lack of preparation can have tragic consequences for the company. Although crises in an organization are an unavoidable element of running a business, it is worth perceiving them not only as a threat to the existence of the company, but as a chance for development and achieving a significant position on the market.